Most forms of Hypertrophic Cardiomyopathy (HCM) are inherited, which should be considered by the prospective mother. 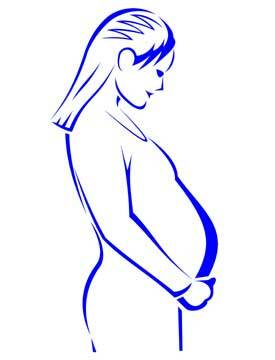 Pregnancy is usually safe for women with this defect unless there is severe ventricular obstruction or dysfunction. The increased blood volume that occurs is actually beneficial. However, sudden changes in cardiac function during labor and delivery make close monitoring necessary. Patients for whom calcium-blockers and beta-blockers have been prescribed before conception should continue to take these medications.